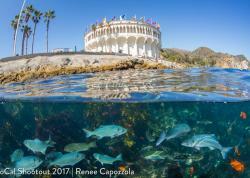 The Ocean Art Underwater Photo Competition is one of the most prestigious underwater photo contests in the world, attracting some of the world's most talented photographers. 16 different categories ensure a fun competition for all camera classes and disciplines of underwater photography. If you haven't yet, be sure to check out the 2018 Ocean Art Contest Winners. Ocean Art would not be possible without our esteemed judging panel, who have decades of experience and some of the most prestigious awards in diving, photo, and video industries. Here is what our judges had to say about this year's competition. 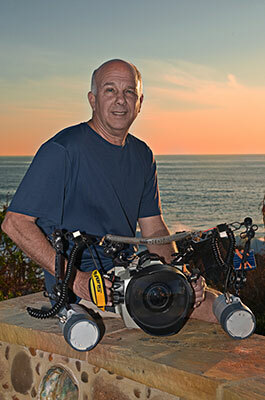 The author of Dive Training magazine's Behind the Lens column, Marty Snyderman has made his living as an underwater photographer, photography instructor, author, and speaker for close to 40 years. He has won many prestigious awards (including an Emmy) and has been featured in many top publications worldwide. I am not sure how many years I have been a judge, but I am sure that every year the entries get better and better. Certainly, this year was no exception! That, of course, is good news. But it sure makes having your work recognized and the judging more challenging. There were sixteen categories, and all were filled with more than just a few images that caused all of the judges to sit up and take notice. With that thought in mind, one thought I would like to share with everyone that entered is that if your photograph didn’t win or get recognized, that does not mean your image was not a great shot. Please take that comment to heart. As has been the case in the past, as judges we have our personal biases. As a result, we have our disagreements. But it always seems to be about the placement of a photograph or two, not whether an image is worthy of being recognized. If you have been involved with contests over the years, you have probably heard stories about heated arguments between the judges. But that has yet to be the case with us. Everyone is treated as an equal, and everyone is entitled to their impressions. With regard to passing along my two cents worth of advice to future entrants: I suggest reading the instructions and category definitions carefully and twice to be sure you enter your photographs in the appropriate categories and within the described parameters. Be sure you enjoy the entire process of image making, not just the final processed image. Have fun! And please do enter again next year. We love seeing everyone’s work. I think I can speak for all the judges when I say we find the images to be inspiring. So, thank you! Here’s to a Happy, Healthy, Safe, Photography-Filled 2019 for All! 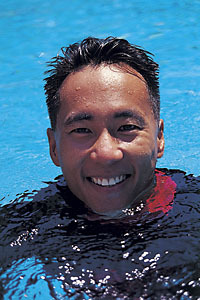 Author of "The Underwater Photographer," a best selling book on learning underwater photography. 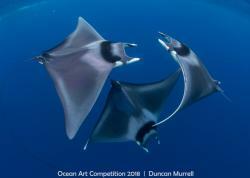 This year's Ocean Art Competition had the most entries in the competition to-date. That is a substantial number of images to judge and critique. When I sit behind my own desk for the very first round of judging above all else I am looking for the ‘Wow’ factor to hit me straight between my eyes. Nothing short of amazing, mind blowing and wonderful will stop me in my tracks. Not with so many images to get through. So, first round images must be immediate. By that I mean that they have to attract the eye of the judge instantly. We don’t have time to wander during the first-round process. We are looking for eye catching, striking, attention grabbing, stunning, dazzling, and astonishing images from the very start. If you did find yourself in the 2nd round of judging, then congratulations to you all. You have done remarkably well. In the 2nd round, once again we make time individually to critique and savor those images which we may have overlooked and which Tony, Marty, Scott and myself may have picked up on. Likewise, images continue to be discounted for errors in exposure, focus, composition, and the like. At this stage the quality is exceptionally high, and we don’t go looking for errors as a matter of course. After all, we have championed our own favorites through the process, so small errors tend to find us as we explore round 2 Images yet again. On the final night, ‘3rd round' we judge together with a ‘Skype Conference Call’ between the four of us. Not surprisingly, we agreed and we disagreed. However, we were all unanimous for the image voted Best in Show 2018. I loved this shot from the very first time I set eyes on it sitting in my ‘box room’ in a cold and wet weary day in the UK. I’d also like to mention that I believe this year’s quality of entries where collectively the best I have seen in this competition since I have been judging it. Thanks to Marty, Tony, Scott and Nirupam. Love judging with you guys! Long may it last! 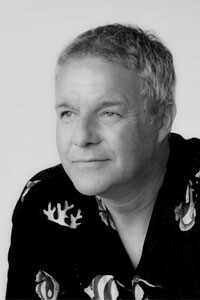 Author of a coffee table book entitled Silent Symphony, which received the grand prize for best book of the year at Antibes in 2001. He also won the prestigious Veolia environment wildife photographer of the year award. In all seriousness, we had a great time once again, particularly given the challenge posed by having to reach consensus on some outstanding images. From a personal perspective, I was delighted to see so many terrific entries in the Marine Life Behavior category. I know I’m not supposed to have favorite subjects/ categories, but I’m flawed. Can’t help it. As is always the case with the subjective process of judging photographs, we had some things that everyone instantly agreed upon, and other things for which we could find minimal common ground. That is the nature of all judging, which is the reason why people who took the winning and recognized photos should be happy and everyone else should not be terribly upset. There were a lot of great images, which is definitely a good thing, but it also means that making final choices is a difficult process. 1. Originality. If a photograph has been done well already, whether in this contest or others, don’t enter a clone or near-clone and expect to win. Sure, there are probably some contests where the judges are not aware of other winning images, or perhaps aren’t concerned, but I point out clones when I see them, and I’m pretty sure we’re all in agreement on this. Producing a xerox copy is not art. 2. Photography. Um duh, right? This is a photography contest, so photographic qualities, skill, etc. should be important. Amazingly, in many contest results, I see mediocre photos of impressive subjects being rewarded. Big sharks, whales, bait balls, etc. are without a doubt stunning subjects. A mediocre photo of a stunning subject is just that. A mediocre photo. For the judging process in a photography contest, I will always choose a stunning photo of a mundane subject over a ho-hum image of an amazing one. 3. The Litmus Test (extension of point 2). When in doubt, here is a question I ask of myself, and also asked out loud to the others: If this subject were not a rare/ unusual/ intrinsically stunning subject, if it were something that you saw every day and didn’t think twice about as subject matter, would this photograph be a great photograph? This is a tough test to pass, intentionally so. 4. Manipulation/ Harassment. Here is the bottom line. We are not naive. Combined, we have like a million years of diving/ photography experience (i.e., we’re old), and I am a behavior/ biology guy. When we see animals that are totally not in their natural environment (like those placed on surfaces where a soft-bodied animal would be getting zapped by a zillion nematocysts), the photo will be tossed out, with prejudice. 5. Meaning. A beautiful and technically well-executed image that also conveys something important/ valuable rises to the top. “Meaning” can mean many things—something to do with biology/ lifecycle, something to do with the environment, and much more. Congratulations to the winners, and I hope these points are helpful for future contests, whether this one or others. I look forward to arguing with my fellow judges again. 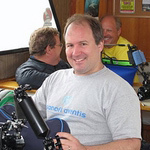 Owner of the Underwater Photography Guide, Bluewater Photo, Bluewater Travel, and founder of the Ocean Art photo competition - Scott has been teaching underwater photography workshops around the world for several years. As we approach the 10 year anniversary of the Underwater Photography Guide, I still enjoy judging these amazing images more than ever. This year was "year of the behavior", as the bar in the marine behavior categories was higher than ever. As always, the different perspectives of other 3 Marty, Martin and Tony were appreciated. In addition to incredible behavior photos, this year saw a lot of Humpback Whales and Crocodiles. Both must be in abundance around the world! Kudos to the participants for following the rules, and not being afraid to think outside the box. We appreciate everyone who took the time to enter, and wanted to call out the growing number of entries from Asia, signified by a larger number of category winners and placers call the Asian continent their home base. We look forward to seeing all of you next year.